Feeling in need of a strong dose of chill? 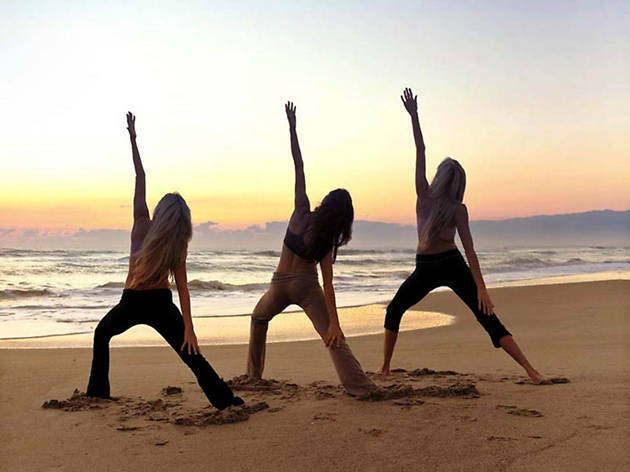 Combine two reliable stress relievers into one bountiful outing with yoga on the beach this weekend. All levels are welcome to meet up at Java Beach Cafe and head out to the sand for some relaxing and rejuvenating stretching and meditation. Heck, we bet no one would even mind if you just sat on a mat staring out at the Pacific for an hour and a half. Namaste.